A good horse helps children, teens and adults who are emotionally disturbed or have mental disabilities. 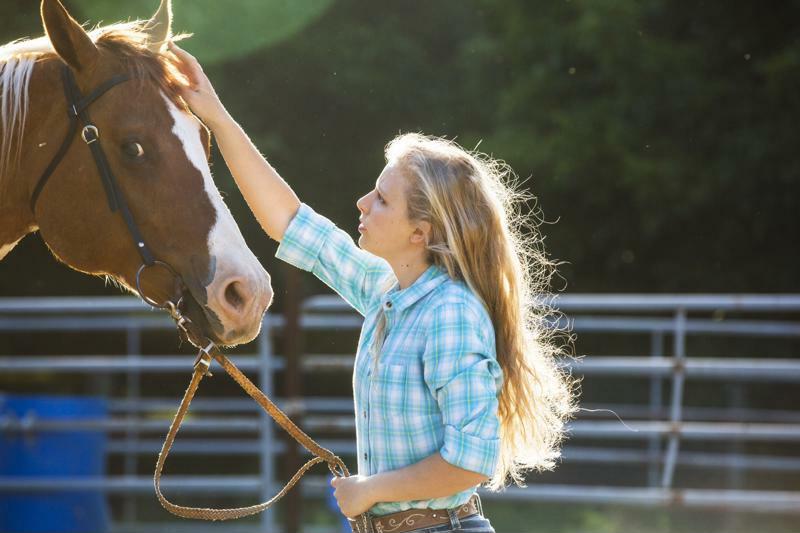 Equestrian therapy, sometimes referred to as Equine-Assisted Therapy, helps people work through traumas, disabilities and negative attitudes by immediately responding to the subject’s behavior and actions. Horses are emotionally similar to humans, but the fact that they’re animals makes them more approachable for people with certain anxieties or emotional disorders. Horses mirror human emotions, making them effective for therapy. According to Equestriantherapy.com, the concept of using horses as companions for emotional development started as far back as 600 B.C. It wasn’t until the 1960s, however, that the idea grew in the U.S. and Canada. In 1960, the Community Association of Riding of the Disabled formed, and the Cheff Therapeutic Riding Center for the Handicapped was founded nine years later. The North American Riding for the Handicapped Association was also established in 1969. This organization oversees therapeutic horse training, safety and certification. Equine therapy offers many emotional benefits, teaching impulse control, responsibility, self-esteem, patience, independence, assertiveness, empathy and more. People who suffer from trauma, mood disorders, substance abuse, addiction, depression, ADD or ADHD and autism have all experienced improvements. Equine therapy also provides numerous physical benefits. Riding helps develop balance, strength and motor skills in the fingers, wrists, arms, torso and legs. Children on the autism spectrum in particular learn to interact with others and comprehend emotions by working with horses as opposed to humans. As the Autism Spectrum Disorder Foundation noted, children on the spectrum find it hard to bond emotionally with other people, even their parents. This difficulty generally stems from the child’s inability to comprehend the nuances of both verbal and non-verbal communication. When attending a therapy session with horses, children with autism get the chance to physically communicate in an entirely new way. They can groom, hug, guide and pat horses, establishing bonds through this physical contact. The U.S. Department of Veterans Affairs recognized that horse therapy is an effective way of treating post-traumatic stress disorder. One treatment facility in Bedford, Massachusetts, uses horses as a sort of mindfulness-based therapy, bringing veterans to focus on the present moment instead of the events of their past. Addicts benefit from equine therapy by seeing horses mirror their own attitudes. The therapy also provides the chance for addicts to re-learn how to interact honestly with others, notes a USA Today affiliate. In addition, equine therapy gives a second chance to horses who are elderly, have suffered from an injury or would have otherwise been put down a second chance. Although equine therapy is still expensive, more people are catching on to its benefits, and various volunteer and non-profit organizations are rising to help provide these services and reduce costs. ATP shows big benefits for horse recovery Basics of equine digestive process Bloodlines and love lines: The messy game of equine romance How smart is your horse?